I arrived at the party with an all-in-one dessert and cocktail conversation topic! 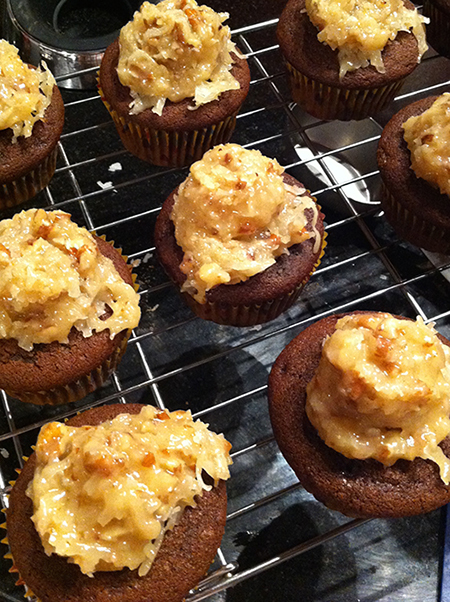 Did you know that German chocolate cake is not German at all? It’s actually American. The first recipe for German Chocolate Cake appeared in a Dallas, Texas, newspaper in the 1950s. It used Baker’s German’s Sweet Chocolate, which was developed by a guy named Sam German in the mid-nineteenth century. 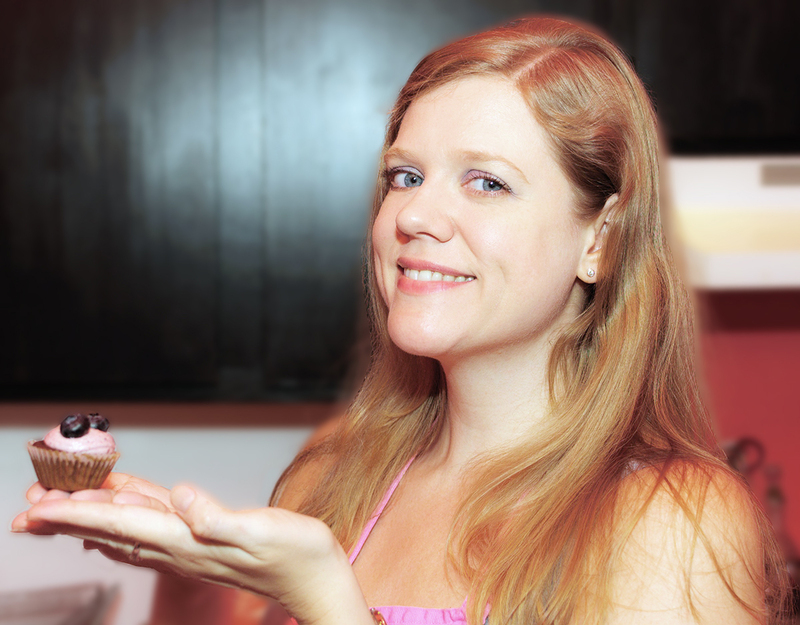 The party was a housewarming/birthday event, and the honoree requested something with coconut. 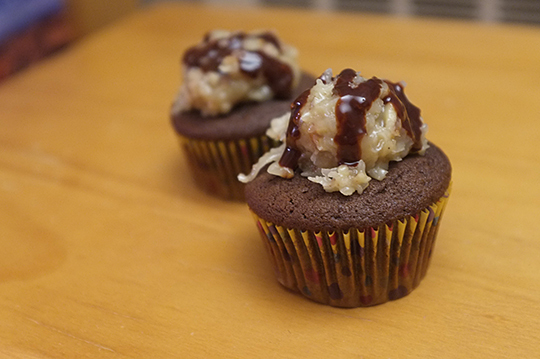 I’d never done German Chocolate Cupcakes before, so I gave it a shot. The coconut pecan frosting was my biggest challenge. I tried a recipe that used eggs and ended up with custard. I did it again without the eggs and got more what I was expecting. I used a small ice cream scoop for the topping, which was moist enough starting out. I added a chocolate ganache drizzle to finish them off. It was my first use of my new squeeze bottles. It’s certainly much easier than other methods I’ve tried. By the time I reached the party, the topping was more the consistency of candy. It hardened and could be popped off and eaten separately. Call it a bonus! Questions? Leave a comment or send an email. Ready to bake? Go to recipes! Banks: Yum! They look delicious! Brett: These were great Amelie! Thanks for sharing! After seeing this, I want another one right now! Cupcakes by Amélie © 2019 Amélie Walker-Yung. All rights reserved. Photos are the property of the individual photographers noted in the text. Please do not use any content without permission. Thieves don't deserve cupcakes.